This policy governs the use by Grafenia Plc or one of its subsidiaries or Affiliates (“we/us/our“) of your (“you/your/yourself“) data which is available to us in connection with your use of the website (the “Site“). We collect information to process your order, deal with your queries, guide and enhance your online experience, supply you with information in which you have expressed an interest and for record keeping. We are committed to protecting your privacy and will only use your information in accordance with the Data Protection Act 1998. You have the option at login, to elect not to receive marketing information (from us, our business partners or selected third parties) and also to tag your account as non marketable to prevent exchange of the data collected with third parties. At any time you can change these options by editing your account details/emailing customer services. When you log in we collect name and address, telephone, email address, user name and password. This provides us with default details for your order processing and sets up security (so viewing of your account details, designs and order history is password protected). To help you choose the right product and design to suit your purpose/business we ask you to make selections and choices. Only the design details are collected if you choose to save the details or place an order. When you place an order we allocate you a customer number, capture order details, invoicing address, shipping address and credit card details to process and fulfil your order. Invoicing address and shipping addresses are retained so you do not have to enter them again. Order details are retained so you can view your order history. You acknowledge that many parts of the service provided on the Site may be provided by third-party service providers and not by us (for example, see section 8 below). You consent to us transferring your information to such third-party service providers for the purposes of dealing with your queries, orders and for record keeping. When you enter credit card details you are in communication over a secure link with the Roynet direct merchant system operated by the Royal Bank of Scotland (or such other financial system as may be used, from time to time). It retains details of the credit card transaction. You must enter the details for each purchase for security reasons. To assist you with your promotions and marketing and tailor our service to your needs we will ask you for feedback, about your business and any information you may require. Supply of this information is optional and not mandatory. All this data will be stored so we can effectively meet your needs. You are entitled to ask for a copy of the information held about you at any time by contacting us. We may charge a small fee for this. The Site has numerous security measures in place to protect the loss, misuse and alteration of information under our control, such as passwords and firewalls. We cannot, however, guarantee that these measures are, or will remain, adequate. We do take data security very seriously and will use all reasonable endeavours to protect the integrity of the information you provide. Access to your account data is password protected. You must keep all passwords confidential and not disclose or share them with anyone. You are responsible for all activities that occur under your passwords. You must notify us in the event you know or suspect someone else knows your passwords. If we have reason to believe there is a breach of security or misuse of the Site, we may require you to change your passwords or we may suspend your account without notice. Our Site may, from time to time, contain links to and from other websites. If you follow a link to any of these websites, please note that these websites have their own privacy policies and we do not accept any responsibility or liability for these policies. Please check such policies before submitting any information to these websites. Credit card details are processed by a secure server (see section 8 above). Please note that cookies can’t harm your computer. We don’t store personally identifiable information such as credit card details in cookies we create, but we do use encrypted information gathered from them to help improve your experience of the site. For example, they help us to identify and resolve errors, or to determine relevant related products to show you when you’re browsing. Each browser is different, so check the ‘Managing cookies’ information below of your particular browser (or your mobile phone’s handset manual) to learn how to change your cookie preferences. We’re giving you this information as part of our initiative to comply with recent EU e-Privacy legislation, and to make sure we’re honest and clear about your privacy when using our website. 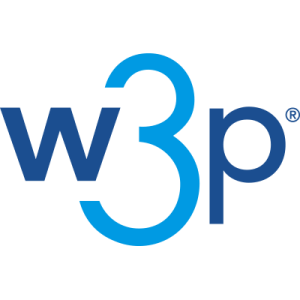 When you visit our sites you may notice some cookies that aren’t related to w3p. If you go on to a web page that contains embedded content, for example from Google, you may be sent cookies from these websites. We don’t control the setting of these cookies, so we suggest you check the third-party websites for more information about their cookies and how to manage them. This type of advertising is designed to provide you with a selection of products based on what you’re viewing. The adverts may highlight alternative styles and colours as well as products from other categories deemed relevant to your browsing history. The technology behind these adverts is based on cookies. Find out more about cookies, and why and how we use them, via the ‘What are cookies’ section above.